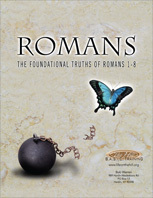 Romans 1-8 Audio Series: Includes approximately 14 hours of teaching on CD if you are interested in digging deeper. Romans “Lite” If you’ve found yourself short on time, but still longing for the freedom offered in Romans, this little book may be the answer. Containing all of the commentary of the original without all of the questions, Romans “Lite” takes you along the same journey in an abbreviated format. It makes a great handbook for those in a Romans Bible study where the original format (daily questions to answer) might not fit. The size and price ($9.95) makes this a perfect gift. Advancing in Romans You’ve experienced the freedom in Christ Paul so passionately shared with the Romans. You’ve reached a solid understanding of justification, grace, and your identity in Christ. You’ve rejoiced over learning that your old Adamic nature is eradicated. It is time to dig deeper. 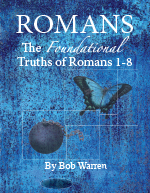 The next step, Advancing in Romans, will steer you beyond the basics into a rich foray of truth. 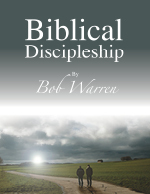 Bob Warren’s thorough treatise is a life-changing journey through some of the most profound New Testament Scripture. The reader will traverse the familiar richness of chapters one through eight while embracing fresh insights. Advancing in Romans is a result of his lifetime pursuit to know the heart of the One who wrote the Bible. 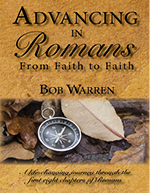 Advancing in Romans Audio Series: Includes 60 teachings on CD or as MP3 on CD or USB. 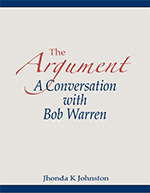 The Argument–A Conversation with Bob Warren Written by Jhonda Johnston, Bob’s editor since 2011, The Argument–A Conversation with Bob Warren is both biographical and fictional. The story of a former pro basketball player turned Bible teacher is masterfully woven into a round table discussion of Reformed Theology. The biography is true as are his teachings. Bob enjoyed many such encounters with numerous college students; this particular one is a fabricated combination of all of them based on interviews and discussions with Bob. More than a fascinating read, this book contains scripturally accurate responses to virtually every question posed by both Calvinists and Free Will adherents in their long-standing debate. The Argument is available in both soft cover ($17.95) and hard back ($28.95). See the order form to the right. Listen to an interview with author Jhonda Johnston on WKMS. God’s Heart Commentary Four Part Series: God’s sovereignty and the free will of man, depravity, election, limited or unlimited atonement (which is it), as well as other related topics, are being covered in as much detail as possible. Each of four books is being edited, and made available individually as completed. They are available in hardback and soft cover. Foreknowledge/Predestination Retreat Audio CDs are now available! Order below. 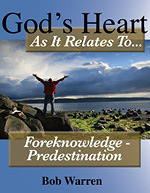 Book Four: God’s Heart as it Relates to Election-Atonement-Grace-Perseverance AVAILABLE SOON! 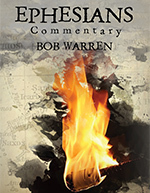 Ephesians Commentary: Bob Warren’s Ephesians Commentary is a pleasing departure from the sometimes stodgy and impersonal reference books that line many of our shelves. Rich with insight from a man who dedicated over 40 years to an in-depth study of the Scriptures, his Ephesians Commentary is enjoyable to read and a valuable companion for serious study. In typical Bob Warren fashion, every phrase of every verse is analyzed, both in context with the rest of Ephesians and through the full counsel of Scripture, providing a fresh perspective on some of the Apostle Paul’s deepest thoughts. Many “profound” truths are addressed in this epistle, yet, at the same time, it is so very practical. If you are interested in topics such as why man needs a Savior, spiritual gifts, what Paul means by the term “mystery,” predestination, the armor of God, husband-wife relationships and many other “meaty” issues, this book will challenge you. In fact, as far as the consistency of its content, it has been likened to eating a T-bone steak. A CD series is also available if you are interested. Ephesians Chapters 1- 6 Audio Series:The CD series is presented in 52 lessons. The audio for lessons 10, 13 and 14 were lost, and will not be included in your order. 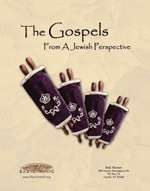 The Gospels From A Jewish Perspective Commentary: I taught this course here on The Hill over the last five semesters. The four Gospels (Matthew, Mark, Luke, and John) are laid out in chronological order and examined from a Jewish perspective—meaning that we try as best we can to view them through the eyes of a Jew who would have lived in Jesus’ day. Outside of the Romans course, I have enjoyed this study more than any other. I am amazed at how my Gentile “upbringing” caused me, for years, to view these books from an improper perspective. 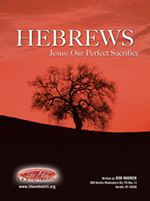 The Gospels From A Jewish Perspective Audio Series: The CD series contains over 90 hours of teaching available on 90 CDs for use in any CD player or 10 CDs containing MP3 audio files for your MP3 player. 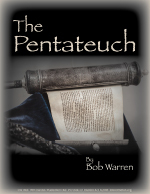 The Pentateuch (An Old Testament Study on Genesis through Deuteronomy): Do you enjoy reading God’s Word? When you open the Bible, do you understand where the Scripture you are reading fits into the timeline of the Old and New Testament? If your answer is “yes,” you are certainly in the minority. Most believers are not so equipped to study God’s word. As a result, they start in Genesis and read as far into the Old Testament as possible. After all, we were taught in school to start at the beginning of a book and read from cover to cover. This approach, however, normally ends in disaster. The solution comes through understanding that the Bible is not a normal book – it is God’s word – and must, therefore, be approached differently. Although every word of every book is necessary, there are certain books that must be studied first. It is only after you have a working knowledge of these foundational books that the remaining books come alive. That is what this course is about. History (An Old Testament Study on Joshua through Esther): This course contains a chronological study of the History portion of the Old Testament from Joshua through Esther. 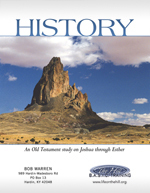 This “History” section of the Old Testament contains twelve books and covers Israel’s history from their crossing of the Jordan River and entering Canaan, through the times of the judges and the kings, to the exile in Assyria and Babylon, and finally their return to Canaan from exile in Persia.Get ready to be blessed by one of the most interesting and essential sections of the Old Testament. The Lord will take what you learn in the Pentateuch and expand your horizons. History Audio Series (The audio series only covers Joshua through 1Samuel): It includes 39 CDs totaling over 40 hours of teaching. Isaiah Commentary, Verse by verse observations from the Book of Isaiah Bob taught this course throughout five semesters here on The Hill. The statement “Come now, and let us reason together” (Isaiah 1:18) confirms that God knows the value of reasoning through the issues of life. In other words, He understands the importance of thinking. This book has answers to a variety of issues if we will but commit to hearing all of what it is saying. 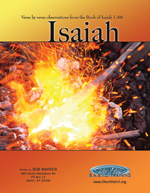 Bob studied Isaiah for years and have found it to be one of the most interesting sections of the entire word of God. Just buckle up, enjoy the ride, and expect to be blessed beyond measure. This document contains over 300 pages of material. You will find that the notes associated with each of the verses covered in the book of Isaiah are pretty much self contained. In other words, no matter which passage you are researching, a good deal of information is supplied, either in the notes relating to the verse itself or in the notes associated with the verses in close proximity, to place it in its proper timeframe (or, as some say, “context”). Isaiah Audio Series (Approximately 76 hours of teaching)More than 70 CDs are now available covering all 66 chapters if you should be interested in digging deeper. 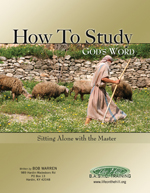 How To Study Course: This series takes the Old Testament and teaches the student how to study God’s word. Bob took the same tools and principles he used to teach himself (with no seminary training), put them in order, and taught them to others. Because he cut his teeth on the Old Testament, he thought it was a great place to start with anyone interested in knowing how to sit alone with the Master. How To Study Audio Series: There are 16 CDs in this series. The Practical Side of Truth Audio Series: This series covers a variety of topics that I would want any man or woman to understand as early as possible in life. The title means what is says. This is practical truth: truth you can get your teeth into. Much that is taught here is taken from the book of Proverbs and “hopefully” will lead to wisdom—the ability to view life from God’s perspective.Topics such as stewardship, giving, debt free living, suffering, waiting, the value of a deeper message, the proper motivation for ministry, discipleship, order, faith and prayer are among the topics discussed in much detail. This CD series contains more than 15 hours of teaching. Knowing God Audio Series: This series covers the attributes of God. Who He is happens to be one of the most fascinating topics known to man. Topics such as what God has to say about knowing Him, understanding that He is eternal, His sovereignty, His majesty, His love and His wrath are discussed in much detail. This series contains approximately 15 hours of teaching. USB Flash Drive: These little devices are amazing! They will contain up to four or five different audio series for transfer to your computer and other devices or play them directly on a USB compatible stereo system in home or in your vehicle. You select the audio series you want loaded on them from the order form or even choose the entire audio library (entire audio library comes on a different style 64 Gb USB). 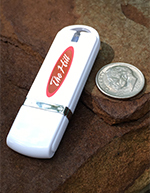 This is the most economical way to purchase teaching series from the The Hill. 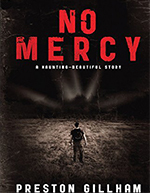 No Mercy, by Preston Gillham, is a sweeping adventure of life, love, trust, and desire-an odyssey asserting that real life is more than meets the eye. Hank Henderson thought he was going on vacation to Montana, but his brother had something else in mind. Hank’s life soon dangles on the precipice of disaster. Disoriented. Injured. His resources depleted, Hank is caught between powerful forces. One is dark, aggressive, and powerful. The other, of questionable integrity, appears Hank’s only option for freedom. From his placid fishing of Malden Creek into a dungeon of double-dealing, Hank crosses swollen rivers, scales blizzard strewn heights, and discovers more than he bargained for in an unlikely ally. His hope dependent upon a hesitant trust, Hank gambles to emerge from “No Mercy” a transformed person. 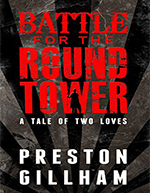 Preston Gillham takes us again into the true world of spiritual life via his novel, Battle for the Round Tower. Returning to Gnarled Wood after two years away, Hank Henderson discovers that the risks have risen. He encounters a dark, spiritual world of subterfuge, black operations, and intrigue. Powerful beyond what he realizes, Hank wrestles with distrust and doubt to become the man of his destiny. Through the characters he creates, Preston shows us a powerful people called Believers and Christ-followers. Payment is not required until you receive your order.